Youth are a vital and inherent part of the Church’s present, not just of its future. The Jr. Fellowship of Orthodox Christians in America functions with the understanding that, as current members of the Body of Christ, the youth are called to use their God-given gifts to build up Christ’s Church now, not when they reach a certain age. This requires that they discover more about 1) the person God created them to be and the gifts He has given them, 2) His Son Jesus Christ and His saving death and resurrection, and 3) the life of the Church He established. Through the four areas of fellowship, education, worship, and service, members of the Jr. FOCA seek to grow in faith and to witness to God’s saving plan for His creation. As a missionary Church, the Church in North America has many blessings and many challenges. While the Church is free to preach the Good News of Jesus Christ’s death and resurrection to all who would hear, communities are scattered across thousands of miles, sometimes in extreme isolation, other times in clusters. While the size of these communities can vary from 15 to 1,500, the youth need to feel a sense of solidarity with a larger group of Orthodox Christians (especially other Orthodox Christians their age) when they, as a minority, engage society. The Jr. FOCA exists as a Church-wide youth movement whose purpose is to address this need. Its main mission is to build and strengthen relationships among the Orthodox youth through its many projects and programs, while witnessing to the Orthodox Christian Faith. Some activities are done on a local level in conjunction with Orthodox youth across North America. Other activities gather the Orthodox youth together on regional, national, and even international levels. What is the Junior Fellowship of Orthodox Christians in America (Jr. FOCA)? The Jr. FOCA is the youth component of the Fellowship of Orthodox Christians in America and a youth organization of the Orthodox Church in America, dedicated to uniting Orthodox youth in fellowship, education, worship, and service. Our mission is to build and strengthen relationships between the Orthodox youth and Christ and His Church through fellowship, education, worship and service. What do we, as an organization, hope to accomplish? To foster the ongoing spiritual growth of young people. To foster the continual integration of young people into the life and ministry of the Church. To gather the Orthodox Christian youth together for friendship, service to others, and growth in faith. To encourage its members to learn, practice, uphold, and communicate the Orthodox Christian Faith. To support and work for the strengthening of the Orthodox Church in North America. To strengthen spiritual and social bonds with other Orthodox youth. To contribute toward the development of healthy community life among Orthodox Christians. To foster the desire to continue serving the Church as adult members of the Fellowship of Orthodox Christians in America. What are our general policies? To live in accordance with the teachings of the Orthodox Christian Faith. To work in harmony and cooperation with the parish priest, his assistants, and other leaders of the community. To work toward developing and maintaining friendly and fraternal relations with other organizations whose aims, policies, and activities are similar to the Jr. FOCA. To take interest in and have an active part in the life of the local community both inside and outside the parish. To provide Orthodox Christian fellowship among the Orthodox youth. To provide Orthodox Christian education among the Orthodox youth. To provide Orthodox Christian worship among the Orthodox youth. To provide opportunities for service to others by the Orthodox youth. JR. OLYMPICSHeld at St. Vladimir’s Orthodox Youth Camp in northeast Ohio, this one-week summer program gathers Orthodox young people, ages 10-17, for a week of fun, competition in events including softball, basketball, soccer, as well as more “wacky” items. ESSAY CONTESTEvery spring a topic is chosen and members are given the ability to submit essays, which are judged based upon originality, development of idea, organization, grammar/correctness, clarity of thought, vocabulary/word choices, met criteria. Judging is divided into four age brackets. Everyone who submits an essay is given a small prize such as a gift certificate to a nationwide chain of bookstores, and the winners of each age bracket receive a savings bond. 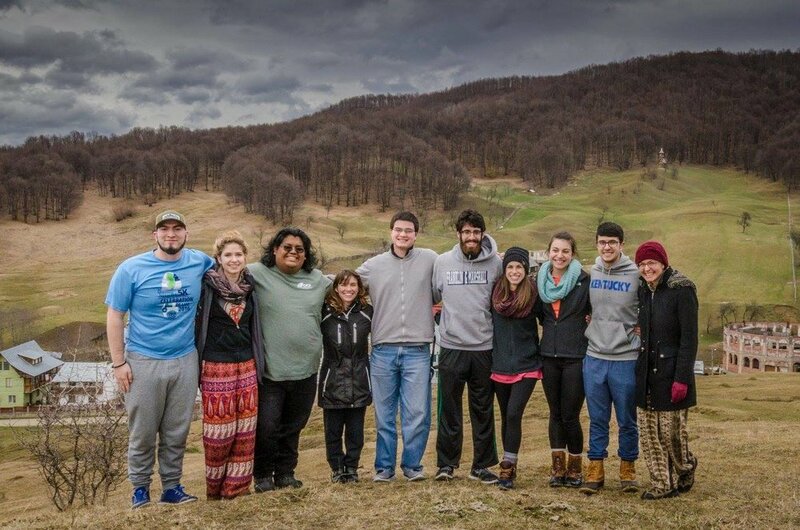 SHARING THE LIGHT OF ORTHODOXYEach spring, Jr. FOCA chapters decide on a way that they as a group can witness to their Faith by helping others. This project originated as a fund-raiser to help mission communities throughout North America, but has developed over time also to include other types of witness, including cleaning up the yards of elderly parishioners, visiting mission communities and helping them plant flowers for the springtime, visiting and preparing small gifts for people in hospitals and/or nursing homes. Groups all light candles in Church for the mission they are helping and, when doing a fund-raiser and sending them monies, often send them those candles along with a picture as a symbol of their prayerful support. CHRISTMAS STOCKING PROJECTOrganized by the OCA’s Office of Humanitarian Aid, every fall the Jr. FOCA raises funds so that disadvantaged Orthodox children in places such as Russia, Byelorus, Ukraine, Alaska, and Mexico can receive a stocking full of treats around the time of the feast of our Lord’s Nativity (Christmas). Persons in the USA with cerebral palsy prepare these stockings. They, in turn, earn spending money and get to feel a part of a project that is helping others. BASKETBALL TOURNAMENTAs one of its largest events, each spring after Pascha, the FOCA runs a Basketball tournament for all its members aged 10 through adult in a different part of the country. Male and female teams of every athletic ability gather to compete and (more importantly) to come together in fellowship over a weekend that includes games, Saturday evening services, Sunday Divine Liturgy, as well as a fun dinner and dance. For information about participating, contact the FOCA Administrative Office for copies of the Sports Rules as well as the contact information of the event coordinator(s). BOWLING TOURNAMENTEach spring the FOCA gathers all its members (young and old) who like to bowl for a weekend of competition, fellowship, and worship. Individuals who do not have a team are placed on “ad-hoc” teams so that everyone who wants to can participate. Contact the National Administrative Office for information. SUMMER SPORTS TOURNAMENTEach June the golfers of the FOCA gather for this weekend event. Discussion is currently taking place to include other summer sports such as volleyball, softball, etc. Contact the National Administrative Office and check the FOCA’s official publication, the Orthodox Christian Journal, for more information. GRADUATION GIFT PACKETSEach year the FOCA sends packets with Orthodox items (a small icon, prayerbook, etc.) to high school and college graduates whose name and addresses are submitted during the spring and summer. Graduates do not have to be members of the FOCA to receive a packet. Contact the FOCA Administrative Office about where to send the list of names and addresses. SCHOLARSHIPSEvery year the FOCA offers a number of $1,000-$1,500 scholarships for high school graduates who are continuing their education beyond high school. To be eligible, applicants must be members of the FOCA or Jr. FOCA for one full year, have a minimum grade point average of 2.25, and submit their applications by March 31 of each year. Gather 5 or more youths (ages 10-17) who want to form a chapter. Receive the blessing of the parish priest to form a chapter within the parish to include ALL THE YOUTH OF AN APPROPRIATE AGE. Obtain two adults over 21 to serve as advisors. They can function either as co-advisors, or as advisor and assistant advisor. Write a letter to the National Executive Board requesting a chapter. This letter must indicate that the above has been obtained and includes the names, addresses, phone numbers, e-mail addresses, birthdays and name days of the potential members and advisors. The National Executive Board will review the request and upon approval will forward the contact information to the National Administrative Office for inclusion in all future mailings. The appropriate District Advisor will contact the new chapter to fully inform it about District activities and procedures. New Charters will be presented at that year’s National Convention. Early each fall, the National Administrative Office will send each chapter’s advisors a listing of its known members for corrections and additions. Dues and membership updates for the group are to be sent to the National Administrative Office by November 30. Hold an informational meeting for parents and interested adults. Begin planning a regular schedule of activities based upon the group’s interests that includes opportunities for fellowship, education, worship, and service. Fr. Michael Anderson is Director of the OCA Office of Youth and Young Adult Ministries.